Natura Greenspring mattress for long lasting relief of back and joint pain. Home → Pain → Back Pain → Natura Greenspring mattress for long lasting relief of back and joint pain. I just read the post regarding people with back and joint pain. You suggest that a firm mattress with a soft latex topper is the best option. I do suffer with severe neck and back pain and have done a ton of research on brands and mattress styles. However, there is no one consistently good option. Innerspring mattresses have the worst customer ratings across the board. But latex and foam have issues too. Your suggestion is starting to look like a solution to body impressions….just replace the topper every few years. So now I wonder….how long will a firm mattress last (with a topper) and which brand should I go with? My daughter has a 4 month old Simmons classic pillow top twin. It is super comfy and motion is isolated well. However it already has some body impression and she only weighs 43 pounds. I was interested in Simmons but have read so many negative blogs and reviews on Simmons customer service and issues with sagging that I’m not sure what brand to choose now. The key phrase you used is “super comfy”, do describe your daughter’s mattress. What’s going on in the mattress industry is like what’s going on in the rest of the country about most things….and everyone is to blame. The manufacturers, for making lousy quality products that are super comfy…and the consumers, for feeding the demand for them by buying them. It’s not unlike small town America. My wife and I have taken the side roads and visited many of the Main Sts. all over the US. For most of them, nearly all the stores are closed with everyone flocking to the Walmart at the edge of town. For the sake of saving a few bucks, people turn their backs on high quality American made products, sold at their local stores, for the low quality junk that Walmart imports from China. Who’s to blame? Walmart? You? In fact, you all share the blame. And so it is with the mattress industry. 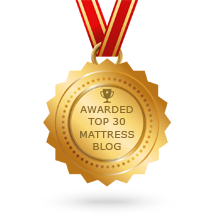 They push softer and softer mattresses, which appeal to you sense of luxury. And what American doesn’t want to indulge their sense of luxury?! It’s an easy sell…like taking candy from a baby. The mattress industry is in the business of selling mattresses. They will sell you whatever you want. 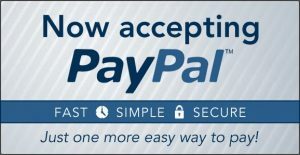 They will make whatever sells. If “super comfy” is what you want, they will make it. But you have to understand that “super comfy” and “durable” are polar opposites. You can have either one, but you can’t ignore the laws of physics and have it both ways. The retailers are extremely inventive, when it comes to promising you the moon, telling you everything you want to hear and making you think that you can have everything you want. Buying a good mattress is extremely difficult, these days. You’ll need to keep your wits about you and employ some common sense…because you simply can’t believe what you hear from most salespeople. Latex has been the best material available for the last 100 years…comfortable and durable. It’s real natural rubber, straight from the sap of the rubber tree. The idea of comfort that lasts, can only be had with latex. A reasonably firm, basic, well made mattress and a latex topper is a consumer’s solution and the only way to thwart the industry’s goal at turning you into a frequent flopper. My wife and I have tested many mattresses over the years. The best we’ve found is the one we’re using now. My wife and I are excellent test cases…plush sized people with lots of our own physical problems…including disc related back problems and sensitive hips. 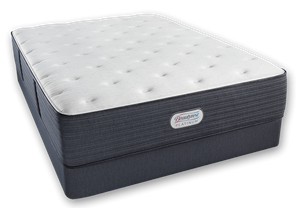 My suggestion for you is the Natura Greenspring Liberty Plush Eurotop…which is the most comfortable of their 5 models. You’ll be happy to know that these mattresses are already upholstered with natural Talalay Latex…with no need for a separate latex topper. The individually pocketed coils are much stronger than what Simmons uses…contouring to the shape of your body and maintaining the natural alignment of your spine.